We all dream about the ‘World of the Future’ having flying cars, free energy, end to disease and many other Utopian ‘concept-things’. But, we have not seen these things yet, and some people have stopped imagining they ever will become reality due to these terrible times of depression. 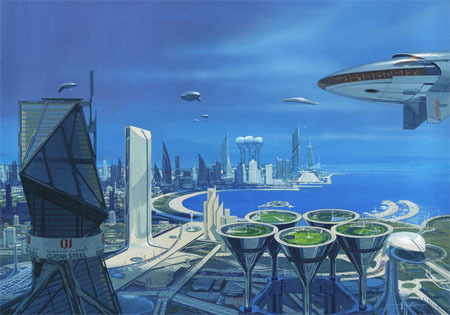 I am not urging that a full Utopian society is possible. There are several reasons why this is; knowledge of the process at work mixed with understanding the environment that exists are the first steps to remedying the situation in favor of positive, human-centric, non-profit results. If you build something and improve on it you will need to at the very least, apply for a patent (or copyright) on your uniquely designed product. Once you improve on said product you will apply for another patent on the ‘new’ way to do/accomplish the same result in product output/use. You need to do this to be able to sue others for infringing on your intellectual property for their own profit. The time it takes to: decide on a patent, have reviewed by lawyers, apply for a patent, keep it secret (whatever that means), have it reviewed by US Patent Office (or International offices) and then finally receive Patent acceptance, is so lengthy a process (in legal terms.. especially for an individual person) that it’s no wonder that products [GM cars] have only been marginally improved upon since the inception of the automobile. It makes less sense (to executives/shareholders) to do all this (or have to) when the main focus is not product improvement/progressive innovation, but revenue/liability redistribution. Established resource suppliers have undergone radical overhauls as more production has moved offshore and abroad. Increasing numbers of manufacturers and suppliers have transformed into call houses which are mainly for the purpose of securing international shipping contracts. This is not to underscore the fact that GM and it’s resources have, in the past opted for an efficient system of sluggish innovation and improvement. The scope of the corporation is not to make new and better cars (of the future), but to slash budget/workforces to save/increase revenue profits. Innovation and progress leading to the cool, high-tech future we all want has been stifled based on legal gags and actionable agreements. Scientists working at Bell Labs, IBM, Raytheon or Lockheed Martin may never divulge or even work on themselves, ideas that they helped develop, or even develop solely themselves for up to 5, 10, 20, 50, maybe even 100 years afterwards. And when you’re concerning companies that do much business with the US Government and its Military entities, you don’t want to put yourself into any dangerous positions. Not even if you’re working on revolutionary & life-changing ideas. Imagine you work for IBM and discover & develop the means to produce energy for free (not saying they have OR that it’s possible.. just sayin). That information would be considered highly sensitive and presumably scuttled to dark hidden places. If a company can’t figure out a way to make money on a product they will never sell it. 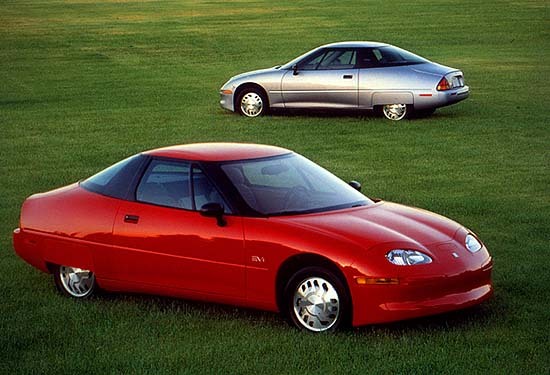 This is also the same reason why GM killed the electric car, because it put suppliers of parts, that were no longer needed in this new type of car, at risk. As well, it also potentially would kill the oil and gas industry by not needing to run on it. 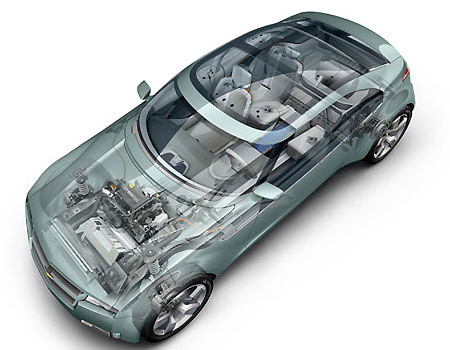 Funny thing – this car WAS all electric. The sad part about the new Chevy Volt is that it’s “More car than electric” ..that’s because it’s a dumbed-down hybrid and mostly works on gasoline power generation; hardly the car of the future. This is only one perspective on a means to control and to not exploit transformational things for the betterment of Humanity and Environment. The world as we know it requires Coal & Oil to run everything electric. a) Manufacturers must wade through relentless legal actions only to protect what is already in production. Intellectual Property must be protected, safety requirements and insurance policy issues must be adheared to and increasingly (in a depressed economy/market) business plans tend to focus more and more on cost reduction and revenue assurance rather than even the product itself. b) The speed of innovation and progress are limited (and severely halted) when a manufacturer wishes to create a new product, make a change in an existing one or especially when a new product must be made that has never been before. Resource supply line manufacturers may find it difficult to keep up with changes to an original product design if it changes too much, too fast. It appears best to simplify and slowly evolve a brand. c) The possibility of anything potentially radically world transforming (like free energy.. still not saying it does exist) being discovered or developed at any of the fore-mentioned companies might just be a reality. But the world may never know due to secrecy agreements, government classified contracts and the idea to retain the status-quo, as pertaining to the Sociopolitical and economical infrastucture of the world as we proceed to full Globalization, ie one world government and currency.. and labor force. The ultimate control model for energy, food and Democracy requires a closed-system where there is perceived notion of never having enough supply to meet demand. d) Currently the corporate system that has spawned such oil and energy controllers such as BP, Exxon/Mobile, etc., has allowed deregulation, resulting in more and more environmental disasters that are ruining the air, water and food crops. So if it weren’t enough to rule the world by controlling the energy supply, a group of corporations effectively undermine progress and innovation in clean/green ways, all the while receiving record profits and ruining the natural Earth’s air, water and every animal’s health in the process. These are serious matters and highly critical arguments against the Banking and Corporate rulers of energy and manufacturing ..they are also the same groups that profit on weapons and war, because it takes much oil, but gives much money! * If you want a full description of what this portends please review Babylon’s Banksters : The Alchemy of Deep Physics, High Finance and Ancient Religion (9781932595796) Joseph P. Farrell. The idea that people believe some companies to be so good for the economy based on deals, sales, profit, etc., is normal and appreciated. What’s difficult to understand is when people make claims such as ‘IBM is such an innovative company!’ Yes, but how? and in who’s favor?? and by what means??? and for what ultimate goal???? IBM is an innovative company; but how does one consider this? Because it continues to innovate in ways of developing new technology? True, but how; by shifting workforces overseas and exploiting cheaper manufacturing labor? By developing new ways of reducing [labor] cost and maximizing [corporate] profit, AKA decreasing benefits payouts and eliminating pensions while moving production to China and technical support to India. Still, International Business Machines does not produce anything technological that benefits humanity or society; strictly products/services that serve the corporate world expressly. Essentially, there seems no difference comparing Big Blue’s Watson Supercomputer to the counting machines it sold to Nazi axis powers. 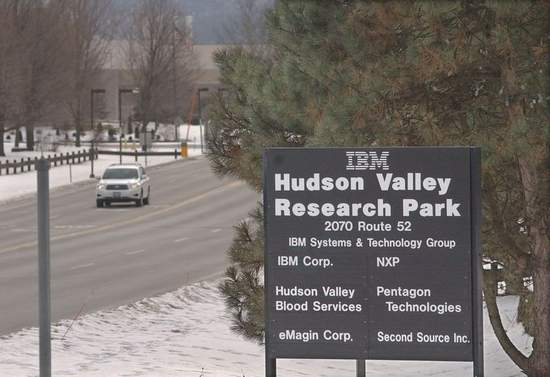 Yet still, if you notice the sign at one of its plants today you will notice a consortium of groups sharing in IBM’s knowledge, success and control. It’s interesting to consider that with all the capital that is (or has been) introduced into research and development of new technology..
Where are cures for diseases? Where is clean/free/green technology for home use? Where is the artificially-intelligent computer that creates efficient NYC traffic? Why is there no focus on the betterment of the human condition and the environment, of which we all live and die in? Until the focus of the capitalist corporate collective shifts from a closed-system of inability to an open system of abundance the world and all the people & animals on/in it shall suffer pollution, repression and stagnation. i hope for a positive shift ! Or please also check out this portion of video from The ZEIGTGEIST: Moving Forward 2011 [00:51:41]..